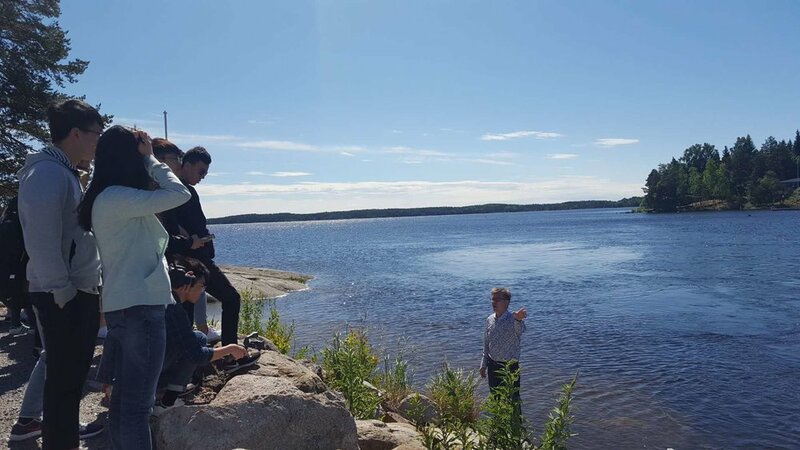 A group of students from Hong Kong Polytechnic University visited Lappeenranta to meet with local students and explore LUT Green Campus. And of course, walk along the biotrail included. This time in the role of biomemitics instructor is Vasilii Kaliteevskii. The group also visited Laboratory of Machine Design, Laboratory of Intelligent Machines, and Environmental system for Green Campus walking tour.